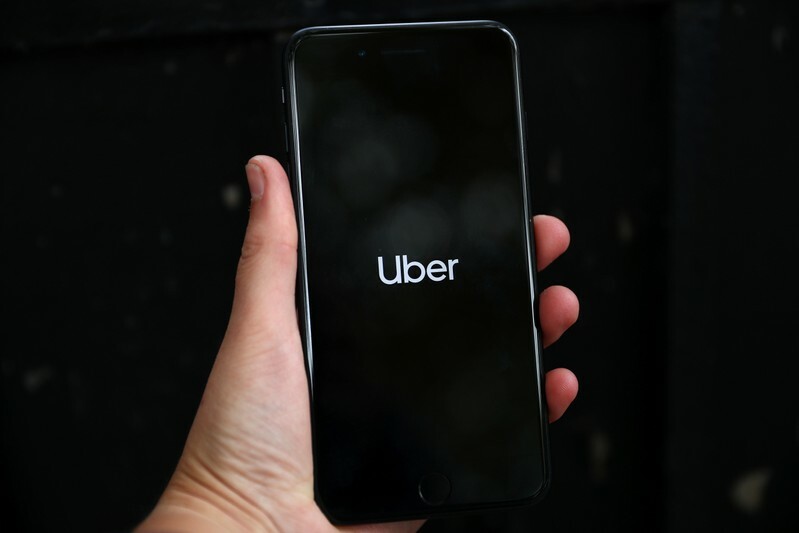 LONDON (Reuters) – World equity markets slipped on Thursday amid worries on global growth and as investors digested European earnings, while the Swedish crown slumped to its lowest in 17 years and the euro suffered after German data. The Euro STOXX 600 lost 0.3 percent in early trading, with concern over prospects for global growth underscored by weak economic data from South Korea. Energy stocks and a 10 percent drop in Finnish telecoms equipment maker Nokia dragged down European shares, with a varied bag of earnings for the region’s banks. The MSCI world equity index, which tracks shares in 47 countries, also fell 0.3 percent. Asian markets had fallen earlier in the day, losing 0.5 percent as South Korea’s economy unexpectedly contracted in the first quarter, giving a sharp reminder of the fragility of the world economy beyond the United States. Shanghai’s bourse also fell sharply late in the day, losing more than 2 percent as other Chinese markets lost ground after attempts by the central bank to temper expectations for further easing of monetary policy. Chinese officials also warned of protracted pressure on economic growth, casting a shadow over hopes for a sustained recovery in the world’s second biggest economy. Those worries on growth also played out closer to home for European investors, with fears lingering over the state of the German economy after a survey on Wednesday showed German business morale falling. Amid that weakness, central banks across the world have maintained ultra-loose monetary policy. The Bank of Japan on Thursday pledged to keep interest rates very low at least until early 2020, even as it retained main policy targets. 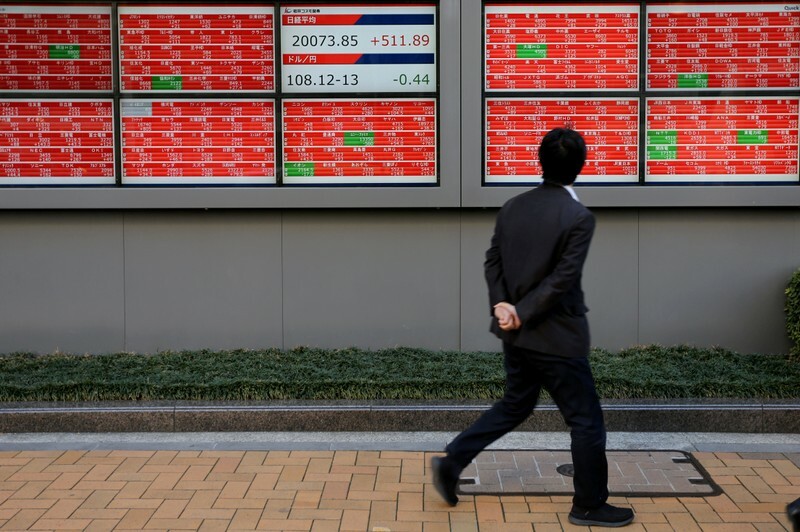 Japan’s benchmark Nikkei gave a muted response, while the Japanese yen also reacted little. The yen was last up about a third of a percent, at 111.80 yen per dollar. “You certainly have a common response (from central banks) to a global growth slowdown in terms of monetary policy,” said Peter Schaffrik, head of European rates strategy at RBC Capital Markets. There were signs of growing strength in the U.S. dollar, which analysts said was partly a symptom of the world’s largest economy maintaining relative strength and others, such as China, faring worse. The dollar index, which measures the greenback versus a basket of six major peers, stood at around at 98.001, near its highest since May 2017 hit on Wednesday. “The Fed isn’t keen to hike rates, but they are the strongest of the bunch so money will gravitate toward the U.S. dollar,” said David Madden, an analyst at CMC Markets in London. The Swedish crown slumped to its lowest since August 2002, after the central bank said weak inflationary pressures meant a forecast rate hike would come slighter later than planned, holding benchmark borrowing costs unchanged. The crown sank 1.2 percent against the euro to 10.65 – on course for its biggest daily drop in more than six months. Monetary policy also loomed for emerging markets currencies. Turkey’s lira weakened against the dollar, losing 0.2 percent hours before a central bank policy decision that could test its willingness to maintain tight monetary policy and support the currency in the face of recession. The rate decision is due at 1100 GMT. The euro suffered its worst day in over six weeks, falling 0.6 percent to a 22-month following the further signs of flagging growth in Germany. It was last at $1.1141. Also on the agenda for the single currency were Spanish elections on Sunday and economic concerns out of Italy. Brent crude oil on Thursday rose above $75 per barrel for the first time in 2019 in the wake of tightening sanctions on Iran, while gains in U.S. prices were crimped by a surge in U.S. supply. SINGAPORE (Reuters) – Brent crude oil on Thursday rose above $75 per barrel for the first time in 2019 in the wake of tightening sanctions on Iran, while gains in U.S. prices were crimped by a surge in U.S. supply. Brent crude futures rose to a 2019 high of $75.01 per barrel on Thursday and were at $74.90 per barrel at 0705 GMT, up 33 cents, or 0.4 percent, from their last close. U.S. West Texas Intermediate (WTI) crude futures were at $65.94 per barrel, up 5 cents from their previous settlement. Traders said Brent was receiving support on Thursday from a halt of Russian oil exports to Poland and Germany via a pipeline due to quality concerns. The United States this week said it would end all exemptions for sanctions against Iran, demanding countries halt oil imports from Tehran from May or face punitive action from Washington. “Following the U.S. decision to toughen its sanctions on Iran … we have revised up our end-year forecast for Brent crude from $50 to $60 per barrel,” analysts at Capital Economics said in a note. The U.S. decision to try and bring down Iran oil exports to zero comes amid supply cuts led by producer Organization of the Petroleum Exporting Countries (OPEC) since the start of the year aimed at propping up prices. As a result, Brent prices have risen by almost 40 percent since January. 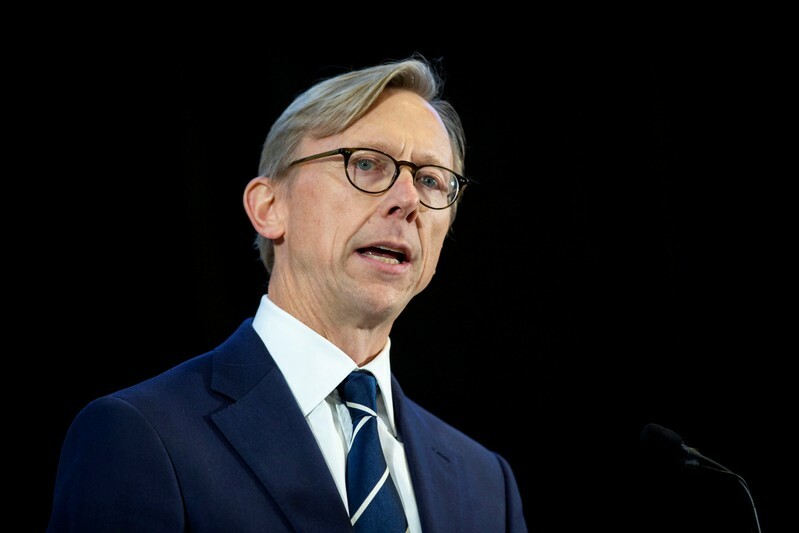 Still, Brian Hook, U.S. Special Representative for Iran and Senior Policy Advisor to the Secretary of State, said on Thursday “there is plenty of supply in the market to ease that transition and maintain stable prices”. “Saudi Arabia and several of its allies have more replacement barrels than what would be lost from Iranian exports,” said Rystad’s head of oil research Bjoernar Tonhaugen. 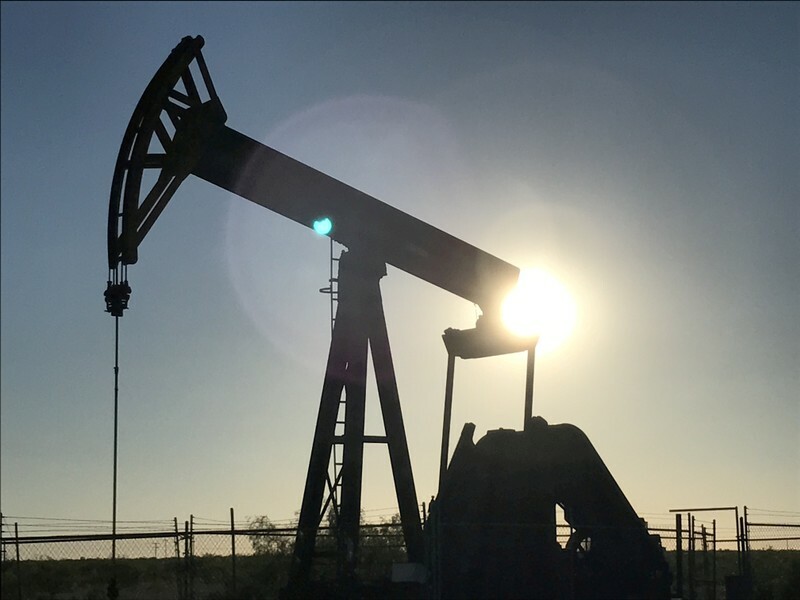 Capital Economics said it expected “oil prices to fall this year as sluggish global growth weighs on oil demand, U.S. shale output grows strongly and investor aversion to risk assets like commodities increases”. South Korea’s economy unexpectedly shrank in the first quarter, the Bank of Korea said on Thursday, marking its worst performance since the global financial crisis. China’s Premier Li Keqiang said on Wednesday that his nation’s economy “still faces downward pressure”. On the supply side, U.S. crude oil production has risen by more than 2 million barrels per day (bpd) since early 2018 to a record of 12.2 million bpd currently, making the United States the world’s biggest oil producer ahead of Russia and Saudi Arabia. In part because of soaring domestic production, U.S. commercial crude oil inventories last week hit a October 2017 high of 460.63 million barrels, the Energy Information Administration said on Wednesday. That was a rise of 1.3 million barrels. (GRAPHIC: U.S. oil drilling, production & storage levels link: https://tmsnrt.rs/2DxgF8W). 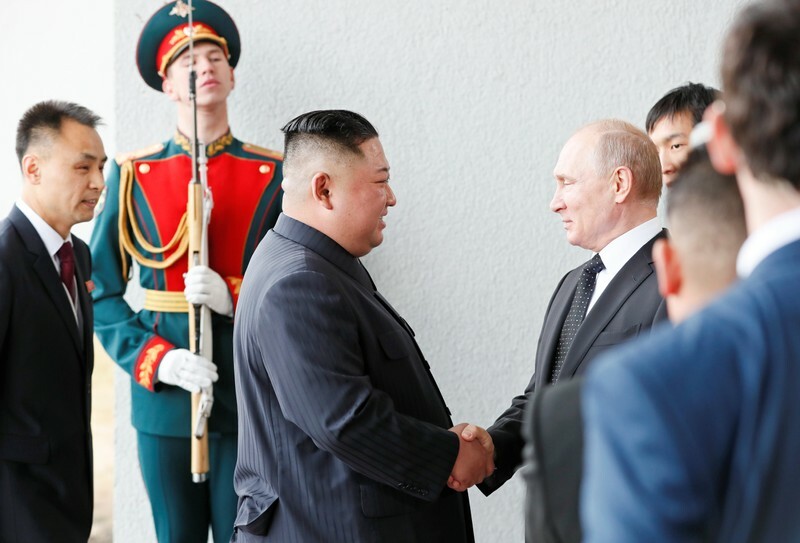 SEOUL (Reuters) – North Korean leader Kim Jong Un said on Thursday that his summit with President Vladimir Putin will help jointly assess the Korean peninsula issues and coordinate their stances. Kim and Putin met for their unprecedented summit in the Russian city of Vladivostok, where Kim is likely to seek support from the Russian leader as nuclear talks between North Korea and the United States are hanging in limbo. Putin told Kim he welcomed North Korea’s efforts to improve ties with the United States. SINGAPORE (Reuters) – U.S. sanctions against Iran have denied its government more than $10 billion in oil revenue since President Donald Trump first announced the move last May, a U.S. official said on Thursday. Brian Hook, U.S. Special Representative for Iran and Senior Policy Advisor to the Secretary of State, made the comment during a call with reporters days after Washington said it would end all exemptions to the sanctions. The United States demanded importers halt purchases from Tehran from May 1 or face punitive action. “Before sanctions…Iran generated as much as $50 billion annually in oil revenue. We estimate that our sanctions have already denied the regime more than $10 billion since May (2018),” Hook said. The United States re-imposed sanctions against Iran’s oil exports last November after Trump last spring unilaterally pulled out of a 2015 accord between Iran and six world powers to curb Tehran’s nuclear program. But Washington initially allowed the eight biggest buyers of Iranian oil limited imports for another half-year. Iran’s biggest oil buyers are China, India, South Korea, Japan and Turkey. Taiwan, Greece and Italy stopped imports despite being given waivers. China is the biggest buyer, and Beijing has criticized the move to re-impose sanctions. U.S. officials speaking during Thursday’s call that they were confident China would be able to find alternative supplies to Iran. Before the reimposition of sanctions, Iran was one of the top five producers among the Organization of the Petroleum Exporting Countries (OPEC) at close to 4 million barrels per day (bpd). Iran’s oil exports have now dropped to about 1 million barrels per day (bpd). South Korea is heavily reliant on Iran supplies as its petrochemical facilities are designed to use Iranian condensate, a super-light form of crude oil. 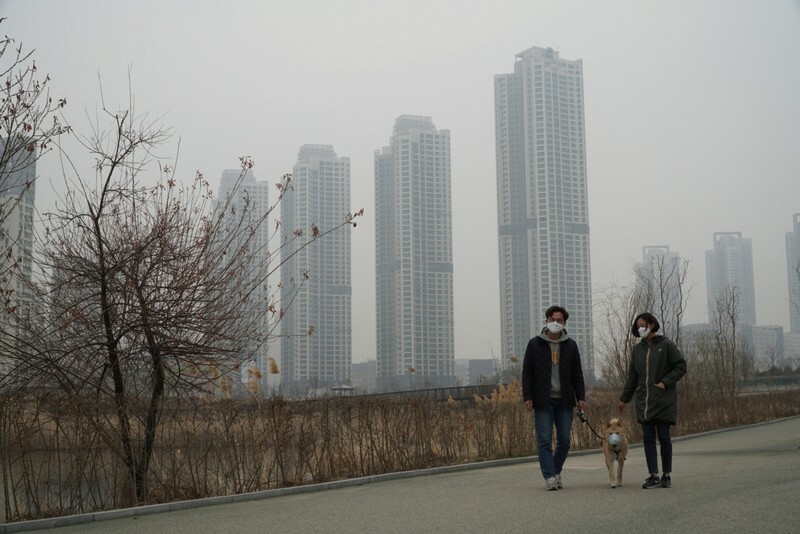 The U.S. officials said the U.S. government was working closely with South Korea to ensure supply for its petrochemical facilities. North Korean leader Kim Jong Un’s most trusted policy adviser apparently has been removed from one of his posts, a South Korean lawmaker said Wednesday, a possible personnel reshuffle in the wake of the breakdown of the North Korea-U.S. summit in February. The head of the South Korean parliament’s intelligence committee, Lee Hye-hoon, cited South Korea’s main spy agency as saying that Kim Yong Chol lost his Workers’ Party post in charge of relations with South Korea earlier this month. He was replaced by the little-known Jang Kum Chol as the director of the party’s United Front Department, Lee said. 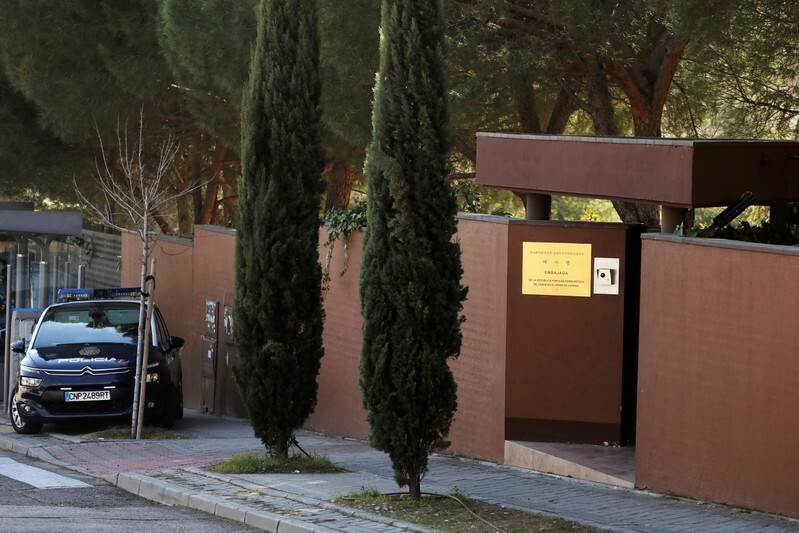 Lee said she obtained the information at a private briefing from the National Intelligence Service. Kim Yong Chol has been North Korea’s top nuclear negotiator and counterpart of U.S. Secretary of State Mike Pompeo since Kim Jong Un entered nuclear talks with the U.S. early last year. He traveled to Washington and met President Donald Trump twice before Kim’s two summits with Trump. His rise had baffled many North Korea watchers because he handled South Korea ties, not international or U.S. relations. Previously, he was a military intelligence chief believed to be behind a slew of provocations, including two deadly attacks in 2010 that killed 50 South Koreans and an alleged 2014 cyberattack on Sony Pictures. Both Seoul and Washington imposed sanctions on him in recent years. The NIS and the Unification Ministry, a Seoul agency responsible for North Korea ties, said they could not immediately confirm the information on Kim Yong Chol. The NIS has a spotty record in confirming developments in North Korea. But if confirmed, Kim Yong Chol’s replacement would add to speculation that he is being sidelined from nuclear diplomacy to take the responsibility for the failure of the February summit in Hanoi. Kim Jong Un, who is desperate to revive his country’s moribund economy, returned home empty-handed from Hanoi after Trump rejected his calls for easing U.S.-led sanctions in return for dismantling a key nuclear complex, a limited denuclearization step. Kim Yong Chol wasn’t among a list of officials accompanying Kim Jong Un on his current visit to Russia, which began earlier Wednesday. Many experts in South Korea said North Korean Foreign Minister Ri Yong Ho and First Vice Foreign Minister Choe Son Hui would take the lead in the nuclear diplomacy. “(Pyongyang’s) significantly diminished reliance on Kim Yong Chol is a very positive sign for the denuclearization negotiations between North Korea and the United States,” said Cheong Seong-Chang, an analyst at South Korea’s Sejong Institute. He called Kim Yong Chol “most responsible” for the second summit’s failure due to his hard-line stance. While the NIS believes the personnel change possibly indicates that the department takes a back seat in the nuclear negotiations with Washington going forward, the spy agency also said it wasn’t immediately clear whether Kim Yong Chol would be removed from the talks entirely or immediately, Lee said. Kim still maintains several other prominent titles, including vice chairman of the Workers Party’s Central Committee and a member of the powerful State Affairs Commission. 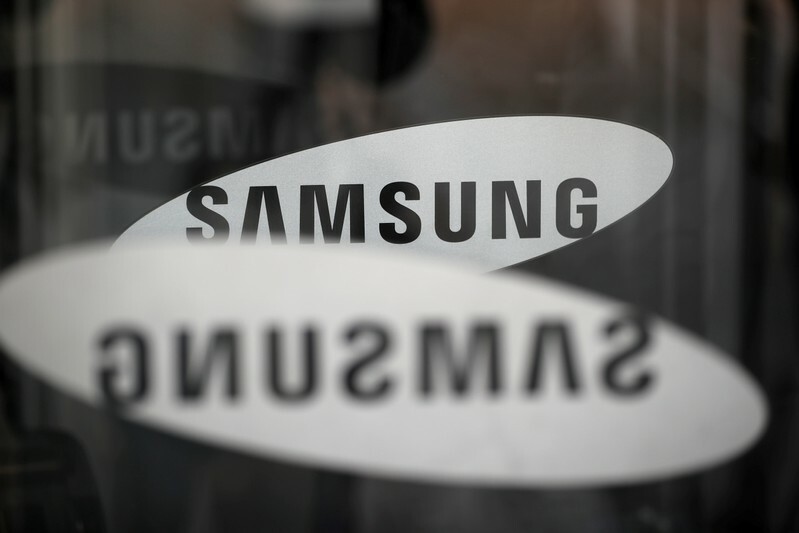 SEOUL (Reuters) – Samsung Electronics said on Wednesday that it would invest 11 trillion won ($9.57 billion) annually through 2030 in logic chip businesses, including its foundry business. The investment until 2030, worth 133 trillion won in total, comes as the world’s top memory chip maker strengthens non-memory semiconductor businesses such as contract chip manufacturing, known as foundry, and mobile processors. “The investment plan is expected to help the company to reach its goal of becoming the world leader in not only memory semiconductors but also logic chips by 2030,” Samsung said.